Torture and other forms of cruel, inhuman or degrading treatment or punishment are prohibited in numerous international human rights instruments, but when do conditions of incarceration – such as overcrowding – cross the boundary from acceptable into ‘cruel or inhuman’ or even ‘torture’? Six square metres of living space for a single-occupancy cell and sanitary facility. Four square meters of living space per prisoner in a multiple-occupancy cell and fully-partitioned sanitary facility. At least two meters between the walls of the cell. And at least two and a half metres between the floor and the ceiling of the cell. These standards are intended to apply to ‘ordinary cells’ designed for prisoners’ accommodation, as well as special cells such as ‘disciplinary/isolation cells’ (also referred to as security cells or segregation cells). Important guidelines that aim to eliminate overcrowding are also provided in the following rules and standards: the UN Standard Minimum Rules for the Treatment of Prisoners (Nelson Mandela Rules), which indirectly prohibit prison overcrowding by delineating minimum living standards in detention facilities; the UN Standard Minimum Rules for the Administration of Juvenile Justice (the Beijing Rules); the UN Rules for the Treatment of Women Prisoners and Non-custodial Measures for Women Offenders (the Bangkok Rules); and the UN Standard Minimum Rules for Non-custodial Measures (the Tokyo Rules), which directly address steps to avoid prison overcrowding. Unfortunately, numerous correctional facilities worldwide fall short of international standards. Data suggest that the number of prisoners exceeds official prison capacity in at least 115 countries. 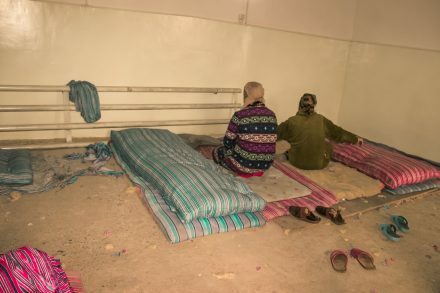 ‘An overcrowded prison entails cramped and unhygienic accommodation; a constant lack of privacy (even when performing such basic tasks as using a sanitary facility); reduced out-of-cell activities [;] overburdened health-care services; increased tension and . . . violence between prisoners and between prisoners and staff’. Overcrowding has also been found to increase the spread of communicable diseases, such as tuberculosis (TB), and have negative effects on the basic hygiene and health of both prisoners and staff. These conditions have a disproportionate impact on specific groups, such as women (e.g., CAT SPT re: Mexico; CEDAW re: China and Iraq), children (e.g., CAT re: Guatemala; CRC re: Brazil and Iraq; CEDAW re: Greece), and displaced persons who are often subject to administrative detention or incarcerated pending deportation (e.g., WGAD 2014 report; CAT re: Greece; CERD re: Finland). Though prison overcrowding is not a new occurrence in carceral systems, international human rights bodies only began devoting more than nominal attention to the problem around the early 2000s. Though prison overcrowding is not a new occurrence in carceral systems, international human rights bodies only began devoting more than nominal attention to the problem around the early 2000s. In just the last two years, the UN Human Rights Committee has expressed concern about overcrowding in its periodic reviews of South Korea, Macedonia, France and Canada. From 2012 through to 2015, the CPT similarly expressed concern about overcrowding in prisons in reviewing the Republic of Congo, Luxemburg, Guatemala, Greece, Iraq, the United Kingdom, Rwanda and Ukraine. Importantly, courts such as the European Court of Human Rights and the Inter-American Court of Human Rights have begun addressing prison overcrowding on a case-by-case basis. However, widespread reform and implementation of the minimum standards are necessary to combat prison overcrowding at a systemic level. In 2015, the UN High Commissioner for Human Rights issued a report, Human rights implications of overincarceration and overcrowding, analysing the main causes of overincarceration and overcrowding and suggesting several steps to address the issue. The report notes that main causes of the problem include deficiencies in the criminal justice system, excessive recourse to pretrial detention, the absence and/or improper administration of alternatives to detention, sentencing policies, and a lack of oversight in places of detention. (1) Collect and use data to inform a rational, humane and cost-effective use of prison. (2) Review and reform the criminal justice process as a whole, from arrest to release, and invest in crime prevention and reduction. (3) Divert minor cases out of the criminal justice system. (4) Improve access to justice and case management during pre-trial detention. (5) Develop and implement constructive non-custodial measures and sentences. (6) Make special arrangements for children and young offenders. (7) Consider alternative arrangements for parents with dependent children, particularly mothers with babies. (8) Identify mental illness and drug addiction and divert those affected to appropriate medical or other care. (9) Reduce sentence lengths and ensure consistent sentencing practice. (10) Develop opportunities for parole or other forms of early release and assist prisoners on release to prevent their return to prison. Many of the treaty bodies and tribunals mentioned above are echoing these recommendations in an effort to curb prison overcrowding and its consequences for incarcerated individuals. In the past decade, human rights bodies have started to dedicate more attention to prison overcrowding by reviewing state prison systems with an eye toward prison overcrowding, modifying minimum standards of detention to reduce overcrowding, and issuing court opinions, which hold that conditions of detention in overcrowded prisons violate human rights. Human rights do not end at the point of incarceration. Yet, prison overcrowding violates many of these fundamental protections by subjecting individuals to increased risk of disease, violence, and horrendous living conditions. Thus, states must take action to address the problem at its root and comply with the minimum standards for the treatment of prisoners to combat the issue of prison overcrowding, which has persisted for far too long. [i] Nigel Rodley & Matt Pollard, The Treatment of Prisoners Under International Law 15 (3d ed. 2009). Read PRI’s 10-point Plan to Reduce Prison Overcrowding, which provides guidance to policymakers on how to address prison overcrowding and mitigate its harmful consequences. Jessica Bullock is a Student Fellow at the Vermont Law School Center for Applied Human Rights, and founder of SPEAK (Speech, Persuasion, Education, Advocacy, Knowledge) Vermont Prison Debate Initiative, which helps incarcerated individuals develop professional skills that will aid them with their transition back into the community.